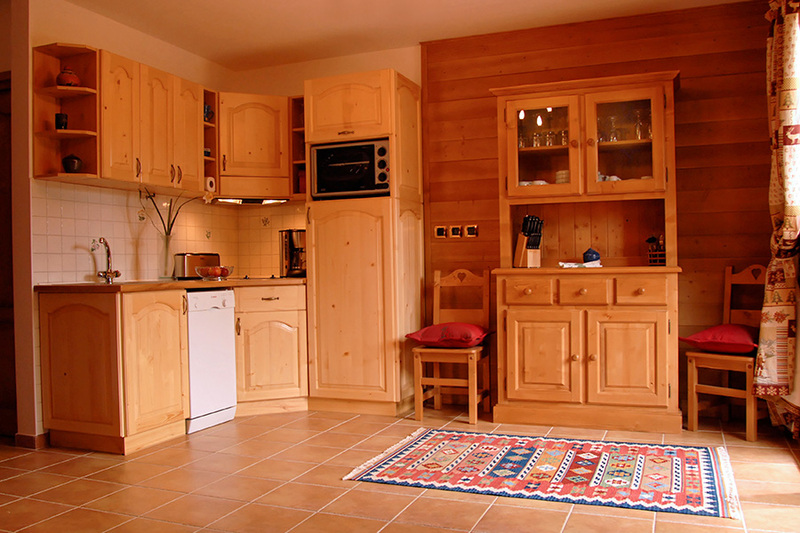 Each duplex can accommodate up to 6 people and is decorated in a cozy and Savoyard style. Linen included ( sheets, towels, dish clothes). 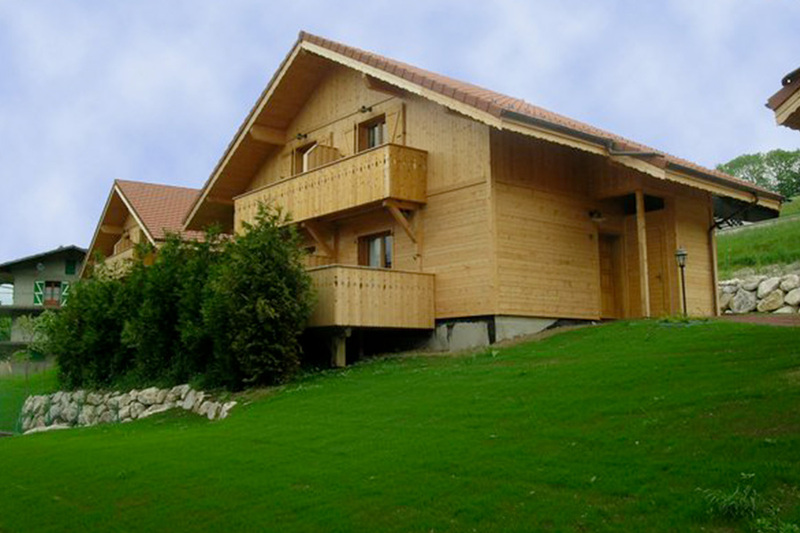 Each chalet offers a large bedroom with a double bed. Two bedside tables, chest of drawers, clothes closet, duvet and pillows are at your disposal. The large bedroom also has a balcony. 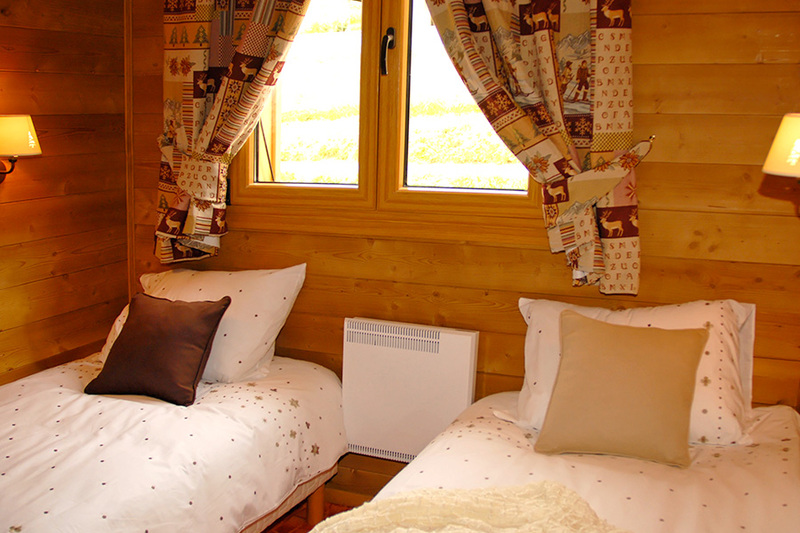 The chalet has a second bedroom with two single beds and a clothes closet, duvets and pillows. The lounge is equipped with a sofa bed, a chair, coffee table and an LCD TV. Each room has a kitchen equipped with an oven, a ceramic hob, a dishwasher and a refrigerator, disposal many kitchen facilities as well as various appliances. 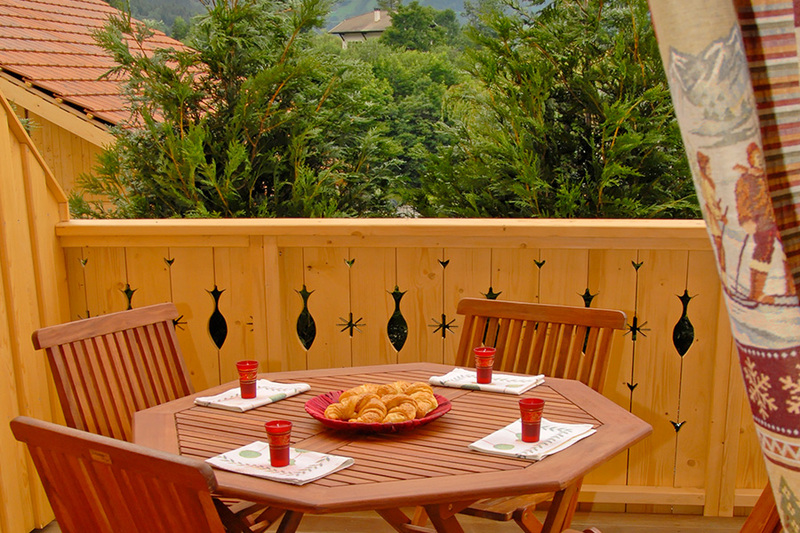 The terrace has wooden garden lounge allowing meals and breakfasts in the open air. 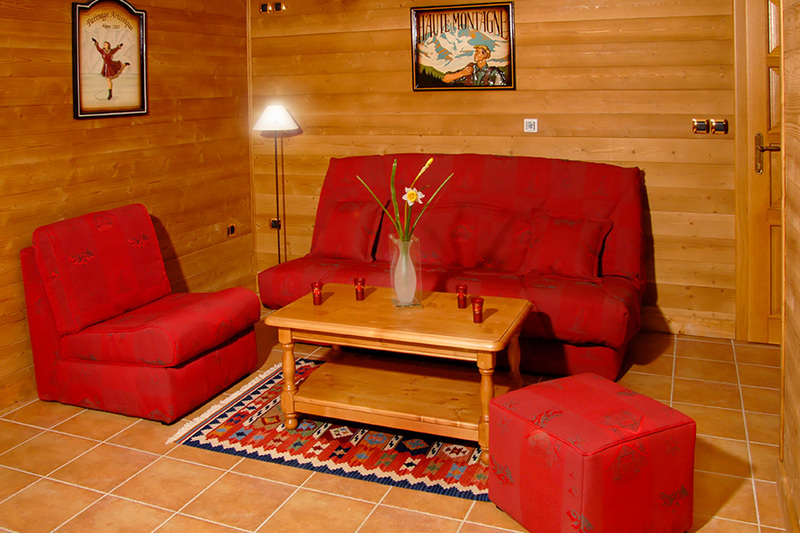 All the chalets have a covered parking and a room allowing to store your bicycles and your skis.